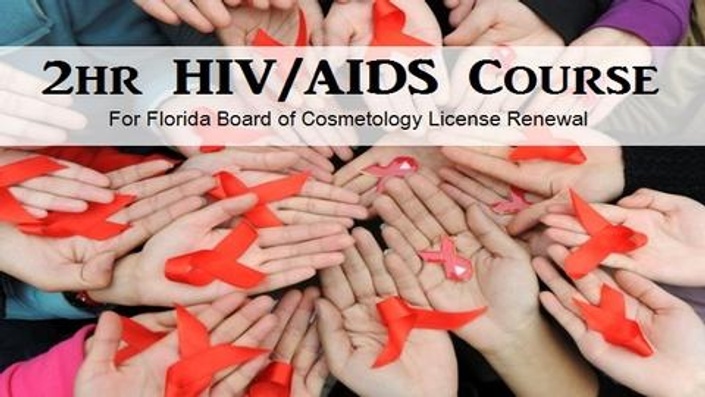 This 2-hour HIV/AIDS course is for the Florida cosmetologist, facial specialist, nail specialist, full specialist, hair braiders, hair wrappers and body wrappers seeking continuing education to renew their license. Our course meets all of the requirements set by the Florida Board of Cosmetology and is easy and convenient to complete. Simply enroll in this course and complete the material. The course material is available to you 24/7 and can be accessed from you desktop computer, tablet or smart phone. After completing the course, you will be asked to complete a short survey to get you certificate of completion. We will then, submit your completed CE hours to the state board.